– The connection between the various parts of this sūrat. – The violent and destructive end of the universe. – Allah’s Judgement on the Day of Resurrection. – Mankind’s realisation at the time of death. This sūrat concludes with a discussion on putting our soul at ease. 8:48 – How does man’s greed lead him to misbehaviour? 14:20 – How are the parts of Sūrat al-Fajr connected? 39:21 – How should we understand the descriptions of Jannah? 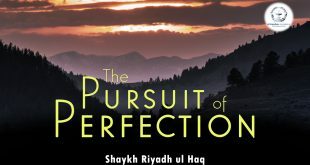 43:52 – Can we understand Qadr (predestination)? 49:38 – What is Man’s realisation at the time of death? 53:47 – Will we regret our friendships on the Day of Judgement? 1:06:13 – What are the three states of soul mentioned in the Qur’an? 1:15:01 – How can a person be at rest?